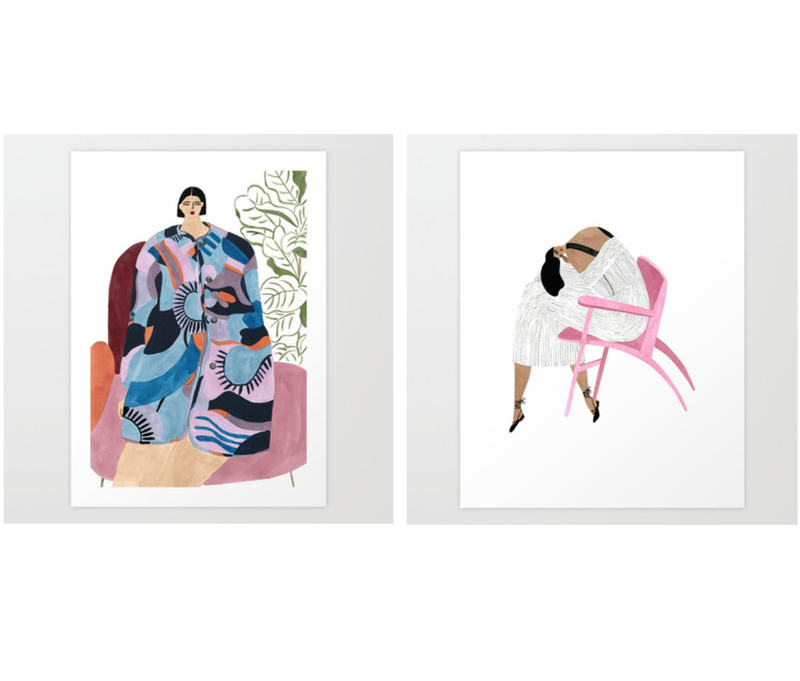 Loving these two art prints by Isabelle Feliu! I came across these while browsing some art online a few months ago. I am only sharing these two, however, I do enjoy quite a few of her prints. What I love the most about her work is that I want to convert her illustrated clothing into actual stunning outfits! Look at that gorgeous coat below! As a color and pattern lover, I am truly intrigued by her work - especially the unusual color combinations and abstract prints. I can visualize these in my office or in the girls’ shared room, adding a touch of color and whimsy! One of these prints can also be used as a starting point for beginning an art collection for kids. What do you think?